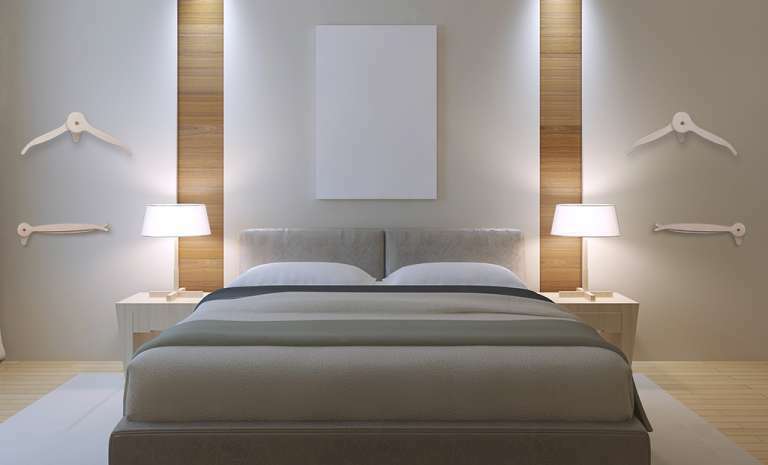 For your hotel, choose furnishing that lives up to the expectations. The luxury hotel furniture by MajorDomo, with their functionality and modern design, add a touch of refinement to your hotel, contributing to the clients’ satisfaction. 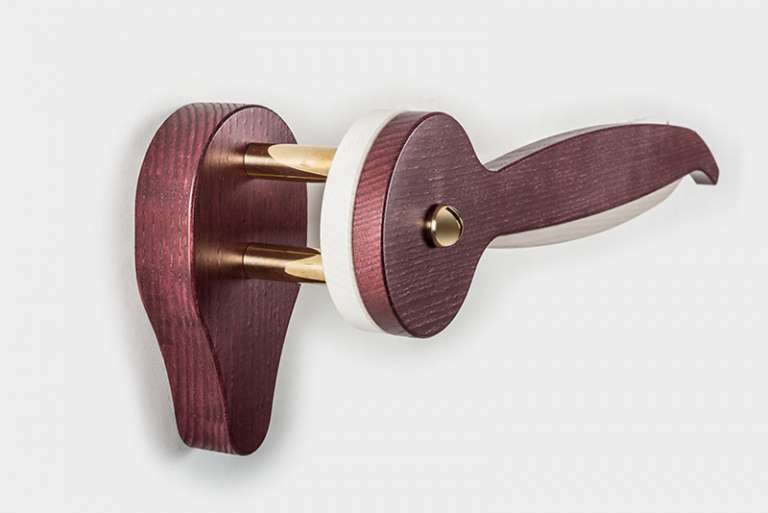 MajorDomo proposes many different solutions, which will give a complete and satisfying experience to your clients: you can surprise them with the Rialto wall hangers, the Casanova trousers hangers and the Polo travel hangers. Made of solid ash wood and 24kt gold details, they’re a refined and valued piece of furnishings, made by the skilled hands of Italian artisans. These hangers are innovative because they’re not bulky; in fact, they can be closed when you don’t need to use them. You can say goodbye to the traditional clothes valet stand. For the furniture of your hotel you can choose between different proposals with minimal and modern design and color variety. 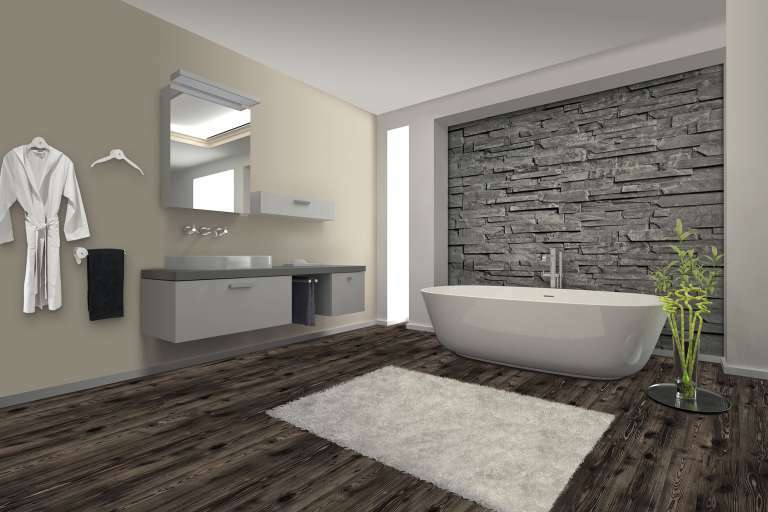 You can choose among classic colours such as black, white and reddish purple, or you can choose bolder models, such as the one that combines black with reddish purple. 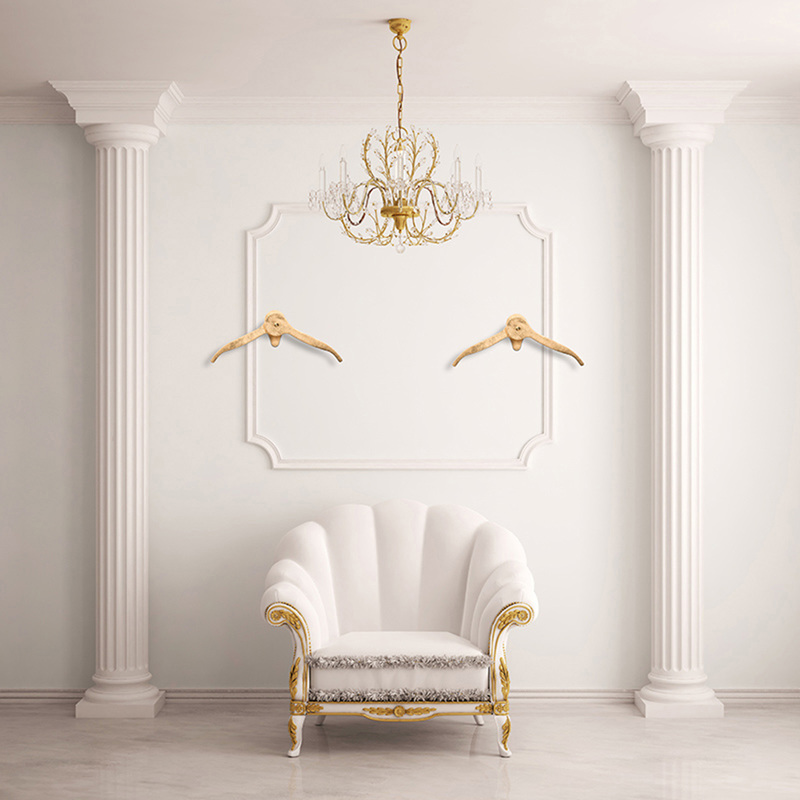 If you wish for the most refined models, in the Deluxe line you’ll find hangers lined with 24kt gold. 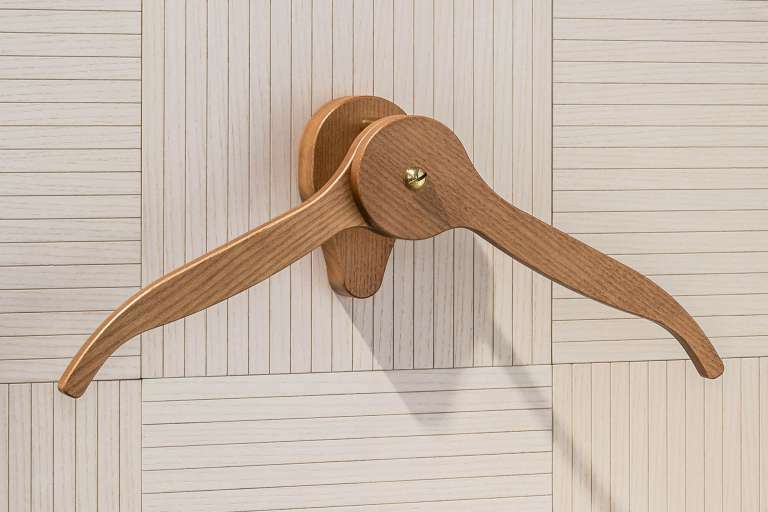 The hangers by MajorDomo can be combined with the Palladio panels, in which the wood grains harmoniously match with the gold leaf applied by our artisans. 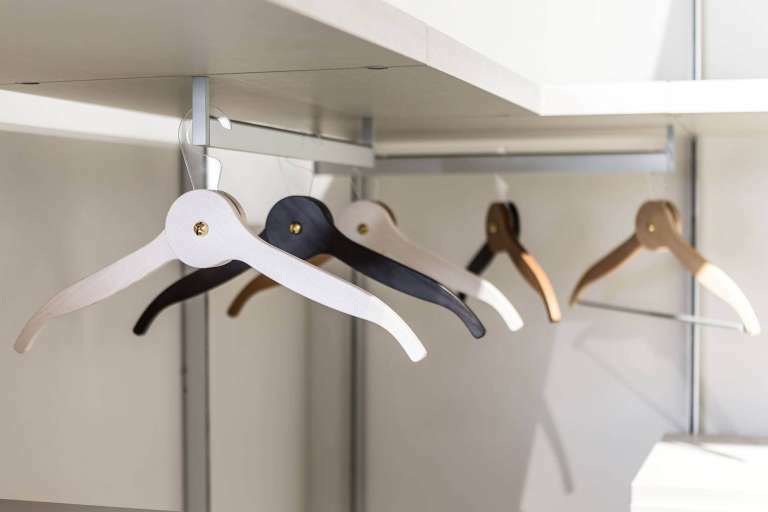 Positioned in the lobby of your luxury hotel, the clothes hangers will welcome your guests with refinement, welcoming them and giving them the opportunity to hang their jackets and hats. In the bedrooms, the hanger, combined with a trousers hanger and hangers to put in the wardrobe, will offer everything that it’s necessary both to hang the clothes needed for the following day and to put away the clothes to use in other occasions. This attention will give your client an unforgettable memory of his experience. Since May 2018, MajorDomo has introduced new furnishing for hotel rooms: Canaletto and Canaletto Deluxe, modern mirrors for beedrooms, and Vernier, a bedside table. 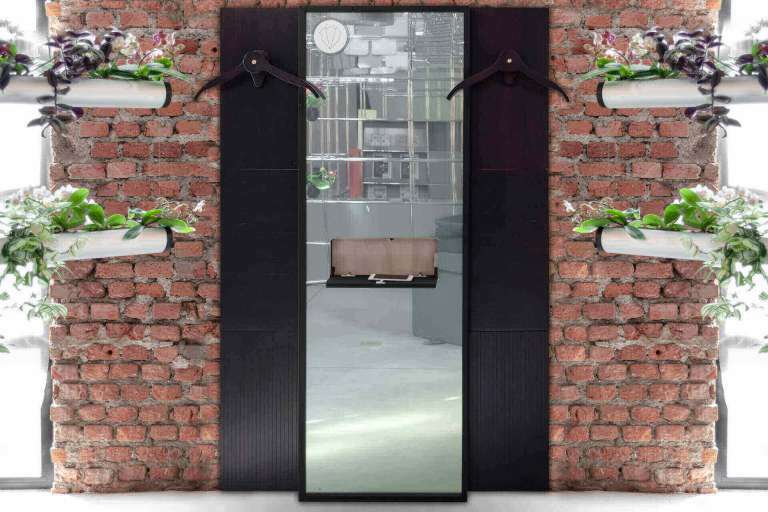 The Canaletto mirror, that has a catchall and a wireless charging station for mobile phones, offers an elegant and functional solution to your guests. In the Deluxe version, these features are combined with the LCD technology, which allows you to hide or activate the mirror, giving it an opaque appearance. 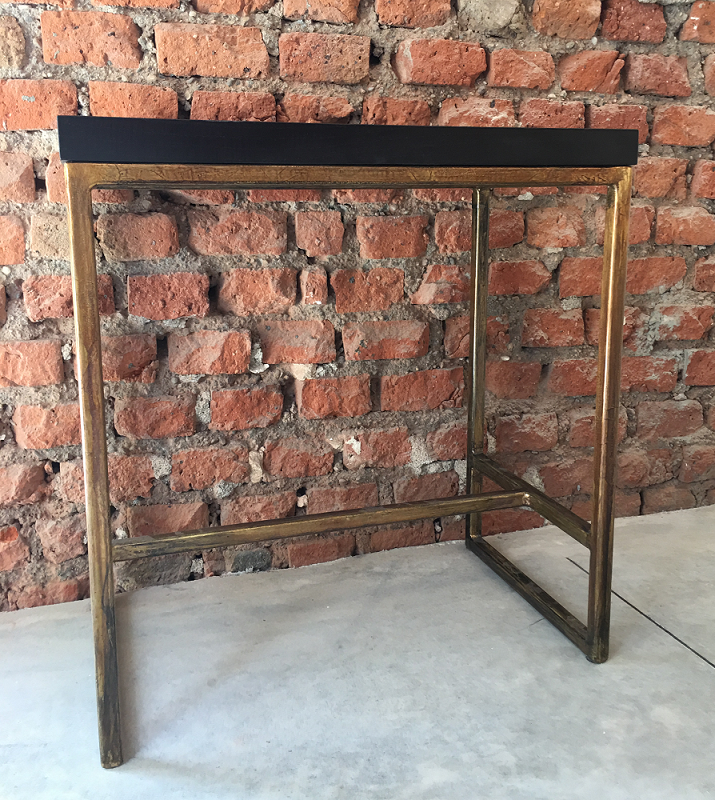 The luxury bedside table Vernier enriches the furnishing of your rooms with the charm of the metal covered in bronze leaf. The wooden shelf is covered with wenge-stained ash wood. Beauty is combined with utility: in the shelf, there is a wireless charging station for mobile phones.